Askbud.ca is a nature site that my boys and l are building to showcase the natural beauty of Vancouver Island. The lsland is one of those magical places filled with giant trees and falling water…. a place of endless solitudes, a place of mists, a place of wonder. Our mountains and valleys, rivers and lakes, forests and waterfalls, and communities dotted along the lsland are just waiting to be explored. So, come on…. put on your hiking boots, step out your door, and you’ll be well on your way to a great adventure! 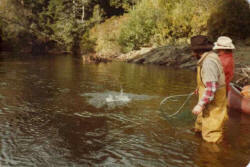 Vancouver Island has much to offer those who love the outdoors! Fishing here is simply spectacular! Biking & hiking trails are almost limitless…. For those who like to ski/snowboard, Mount Washington has one of the highest snow packs in the world, with skiing often being available until July 1st! For wilderness explorers, Mount Cain, in Woss, is famed far & wide for its breath-taking, natural beauty. So, get out and see for yourself…. Discover what the Island has to offer! Vancouver Island has wonderful lakes, rivers and camp grounds that readily await your use. Gaining access to these areas is (for the most part) very easy – there are many logging roads open to the public. Please drive carefully, as some of these are active logging roads. The Island offers many opportunities for outdoor adventure! You can go canoeing, white river rafting, whale watching, mountain hiking, and take in so much more. Vancouver Island is the largest island on the west coast of North America, being 32,000 sq km in size, 460 km in length, and varying between 35 km – 80 km wide. All 5 species of pacific salmon migrate along the east & west coasts of Vancouver Island, and spawn in many of the Island’s rivers. Black bears come down to the rivers to gorge on this feast as they get ready to settle in for winter. 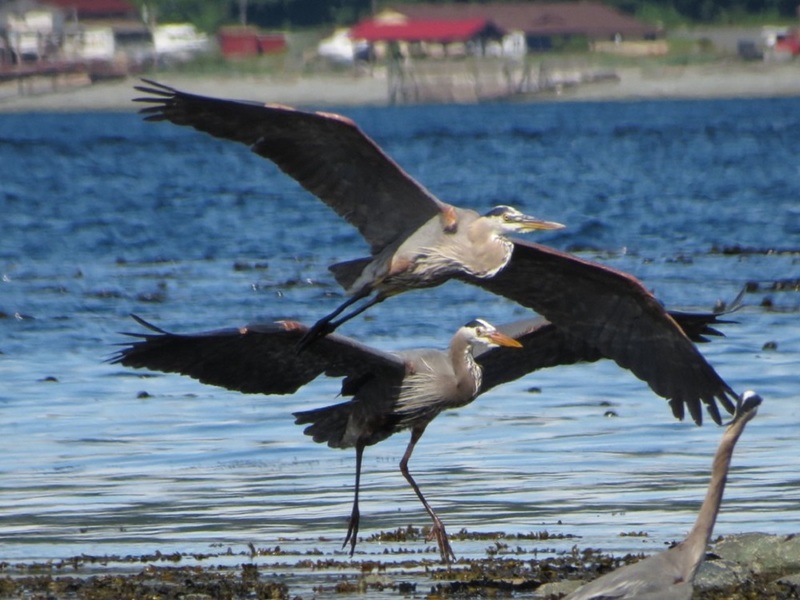 The waters surrounding Vancouver Island abound with wildlife. Experience an exciting whale watching adventure, and encounter orca & pacific gray whale migrating along the west coast of Vancouver Island.Thrilling tours can be arranged in most of the Island’s towns. Over a million birds travel the pacific fly way, and many more inhabit the Island year round. Birding enthusiasts, photographers & the like, eagerly anticipate the large spring migrations of brant geese and wintering mute swans. Vancouver Island is also home to the endangered Vancouver Island marmot, numbering less than 200 in total. In more remote areas of the Island, you may see black bears, roosevelt elk, bald eagles, marmot, black tail deer, wolves and cougars. The Island is home to several wild animals not seen anywhere else in the world! For instance, the Vancouver Island marmot and the roosevelt elk are unique to this area. They are two of our island’s rare & incredibly beautiful animals. Marmots are found in high elevations, and roosevelt elk can be seen on most parts of the lsland. Vancouver Island has many plants and mushrooms to examine and enjoy; mushrooms having been consumed by man throughout the ages. Particular varieties have inspired cooks to create superbly tantalizing dishes. Many succulent species flourish here. We always enjoy finding chanterelles, pines from the high country, or morels in spring, to take home to the frying pan. There’s always something to look forward to! Besides the edible types, there are more deadly varieties. Their hallucinogenic properties have been prized by dark souls, shamans & healers, and more recently, recreational drug users. on our mountain trails, hunt for edible mushrooms & plants, or go on bear & whale tours, you can always find an outdoor adventure to enjoy on Vancouver Island! If you enjoy visiting art galleries or gift shops, you’ll find that Vancouver Island has many very talented artists whose work can be found here, and in fine art galleries, worldwide. The Island’s many communities, both large and small, offer a wide variety of things for you to enjoy – from great golf courses, to remarkable resorts, and fabulous restaurants. Given our many spectacular rivers, lakes, valleys & mountains, and our small population, you can see why so many outdoor enthusiasts choose to come back again and again! So, take a cruise through the site, and discover the many phenomenal things the Island has to offer. If you live here – see it for yourself! For those who call home, elsewhere – head on over, to experience the wonders of Vancouver Island!